Scott Dee is a veterinarian and researcher at Pipestone Veterinary Services, a network of hog farms in Pipestone, Minn.
He’s working fast. The industry fears that PED, not yet eradicated and known as a pernicious, intrepid world traveler, will come charging back this winter. PED spreads best in the cold, so Dee and other researchers are positioned to watch what unfolds in the coming months. And they’re worried. 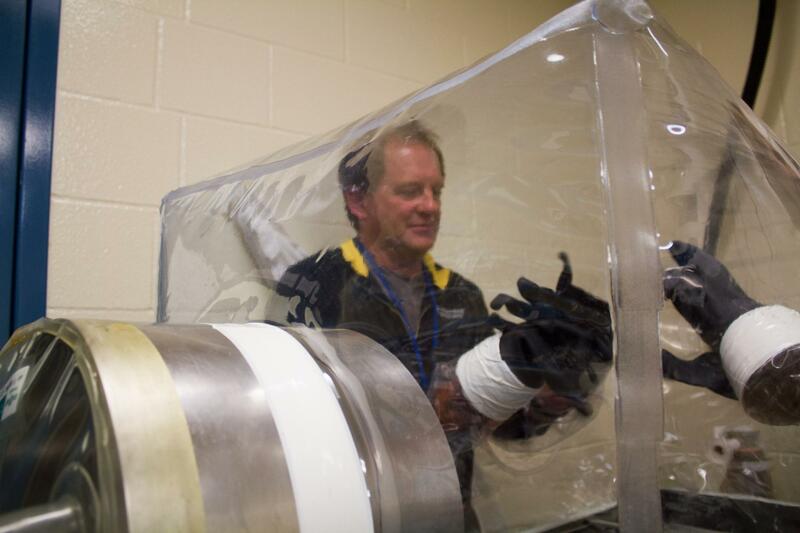 Scott Dee fits his hands inside the gloves used to access a germ-free gnotobiotic pen. During studies with PEDV, the germ-sealing qualities of the pen were tapped to keep the vir us, as piglets sampled feed spiked with it. Dee had an idea. Treating the empty, suspect feed bin like the site of an infection, he swabbed its sides with a paint roller, much like a nurse swabs a patient’s throat, checking for strep. 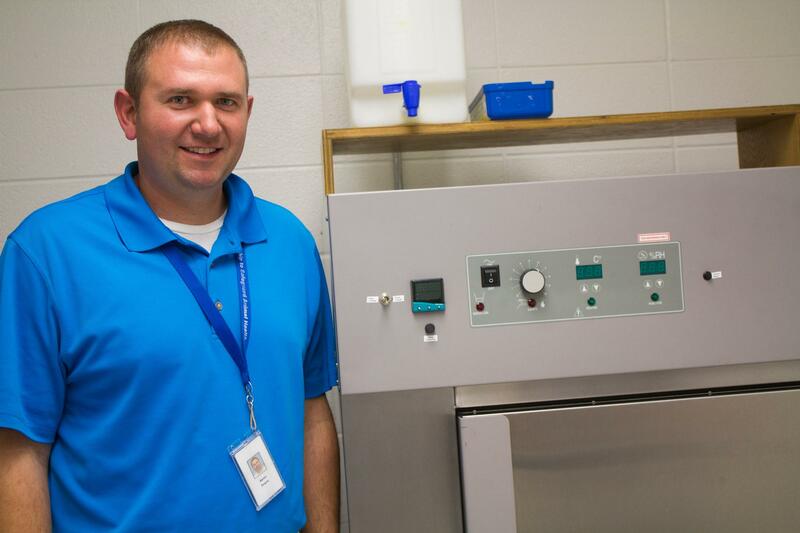 He sent the rollers to South Dakota State University’s Animal Disease Research and Diagnostic Laboratory on the Brookings campus, about an hour from Pipestone, Minn.
At the South Dakota State University Animal Disease Research and Diagnostic Laboratory, Aaron Singrey programmed this environmental chamber to reflect temperature and humidity changes over a 37-day period and in locations from China to Des Moines. 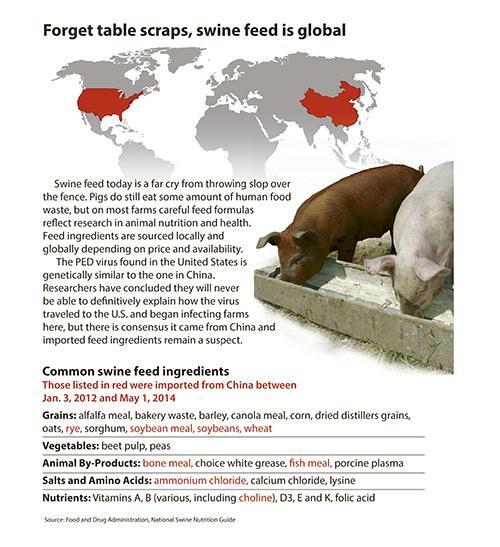 As Dee searched for the infectivity risk of contaminated ingredients, Woodworth’s work has teased out ways to kill the virus so it can’t make pigs sick, even if the feed still tests positive for the virus.